John Stuart is the Senior Vice President of Global Education and Country Manager of PTC Eastern Europe at Parametric Technology Corporation (PTC). PTC (Nasdaq: PMTC) provides discrete manufacturers with software and services to meet the globalization, time-to-market and operational efficiency objectives of product development. John has provided the vision and guidance in developing PTC’s award winning, internationally recognized global education program. The program provides 45,000 teachers and professors, 30,000 schools and universities, and 10,000,000 students with complete learning solutions that not only inspires a new generation for success in a technological world, but also prepares the engineers of the future. PTC announced in 2008 that John has become the Country Manager of PTC Eastern Europe S.R.L. This initiative is part of PTC’s globalization plan, and will involve John’s relocation to Bucharest, Romania to establish PTC’s presence within the region. Over the 19 years he has been at PTC, John has held several senior level positions within the sales, marketing, and alliance partner organizations. Prior to joining PTC, John was the Assistant Vice President of Sales at Centel Information Systems (an IBM business partner) for 11 years, and was a sales manager for Texas Instruments Digital Systems Group. John currently serves as Co-Chair of the University of Massachusetts Mechanical and Industrial Engineering Industry Advisory Board: is on the advisory board of the American Society of Engineering K12 Educators; the industry advisory board of FIRST in Michigan; the industry advisory board of Birmingham City University; and the board of the Massachusetts Business Alliance for Education. 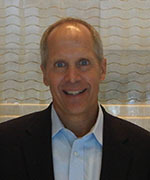 John is a 1979 graduate of the University of Illinois with a degree in finance.